Owning an old house is fraught with quirks. Ghosts in the tower. Raccoons in the parlor. 8.4 million windows to glaze. This weekend it was hairballs in the sink. Large ones. 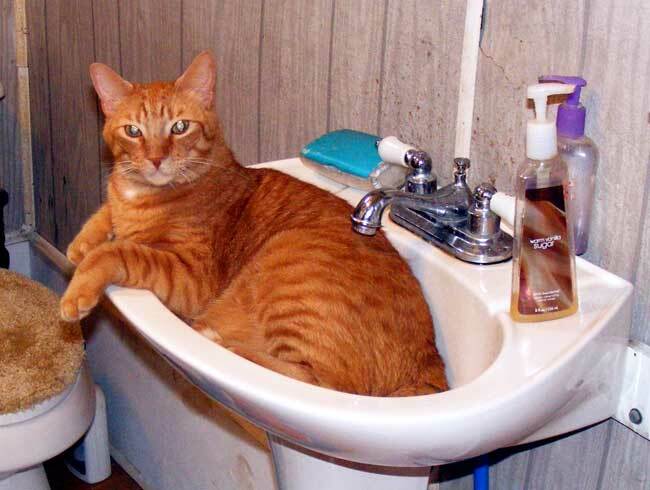 Seems hairballs “like” the sink and tend to collect there when it gets hot outside. …and yes…this cat is *that* big!